We run a small group homeschool program for 4 years old children. This little girl was so excited to show her mommy the finished art work because she applied glue, pasted, drew and finger printed her work with no help from any adults. She was so pleased with her work. We believe that one of the strengths of small group learning is that we help kids work for the knowledge instead of grades. This will also help them develop the values that will lead them to their success someday. 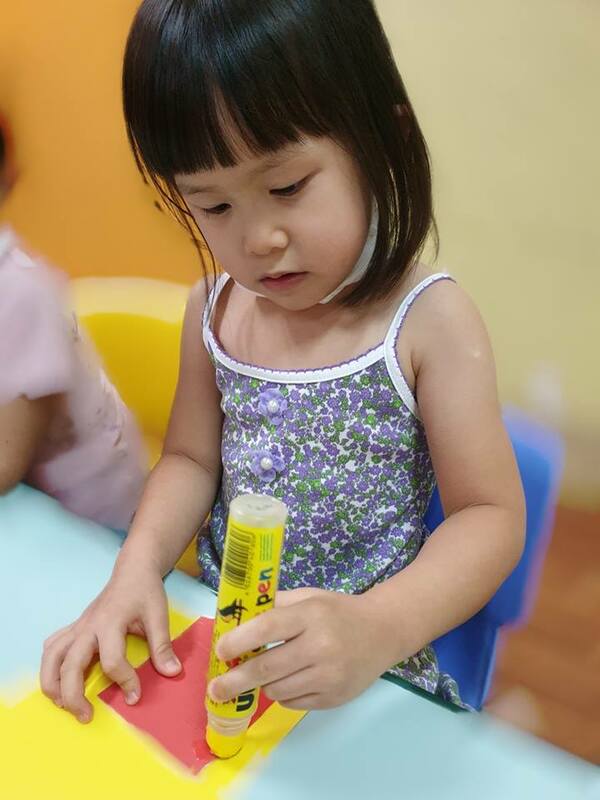 We teach them to exercise their creativity by letting them do the tasks alone.